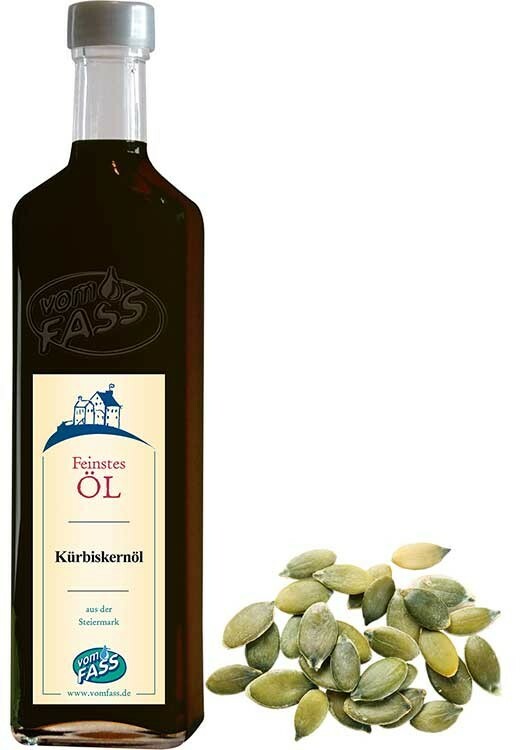 Also referred to as the "green gold of Styria," this oil is produced from skinless grown pumpkin seeds of the Styrian oil pumpkin. 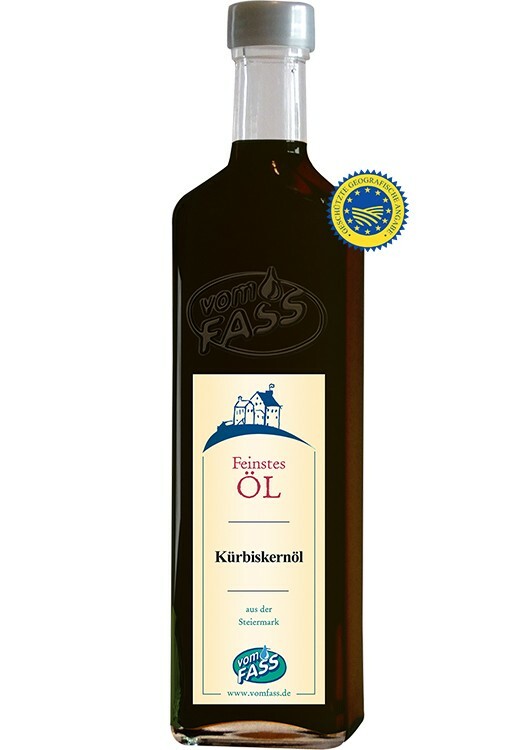 Also referred to as the "green gold of Styria," this oil is produced from skinless grown pumpkin seeds of the Styrian oil pumpkin. 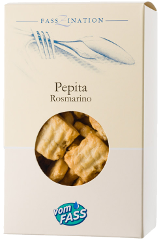 It adds nice flavor to muesli or salt potatoes, and on vanilla ice cream! It should only be slightly heated. 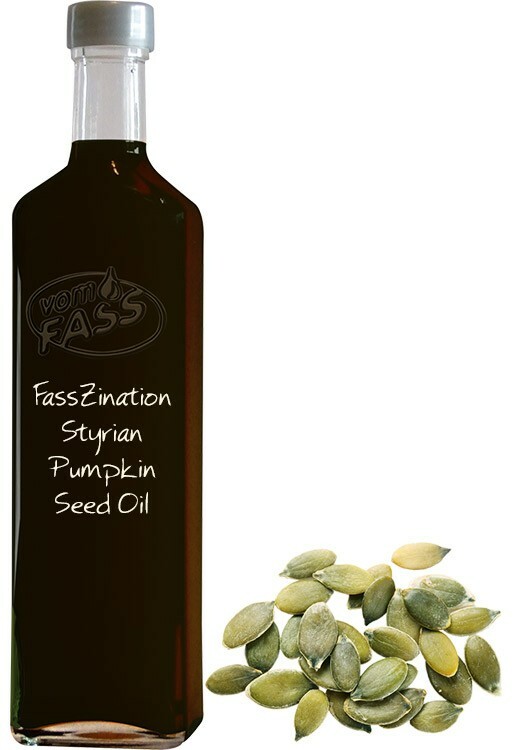 Best used in cold dishes, pumpkin seed oil complements salads, starches, and root vegetables. It also enhances granola and oatmeal, potatoes (boiled, baked, fried, smashed), leafy greens, fresh carrots, thick vegetable soups, i.e., pumpkin soup, not to mention pastry and vanilla ice cream.